Over twenty years ago at a company convention, Eric Worre had an aha moment that changed his life forever. 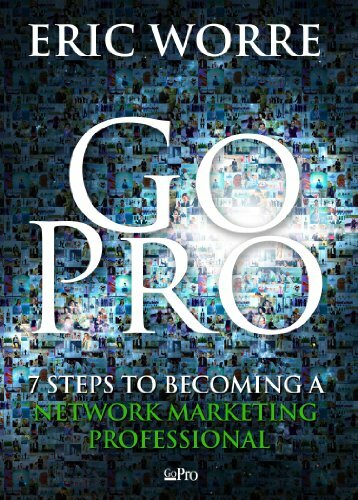 At that event he made the decision to Go Pro and become a Network Marketing expert. Since that time, he has focused on developing the skills to do just that. In doing so, Eric has touched and been touched by hundreds of thousands of people around the world. Now he shares his wisdom in a guide that will ignite your passion for this profession and help you make the decision to Go Pro and create the life of your dreams.